One of the most popular games at our house is marching band, everyone gets an instrument, someone gets to be the band leader and we follow them through the house playing our instruments. So when I saw this post from Imagination Tree (http://www.theimaginationtree.com/2011/03/diy-baby-size-rain-sticks.html) about making rain sticks I knew it would be the perfect addition to our marching band. We actually made two rain sticks in two different ways. 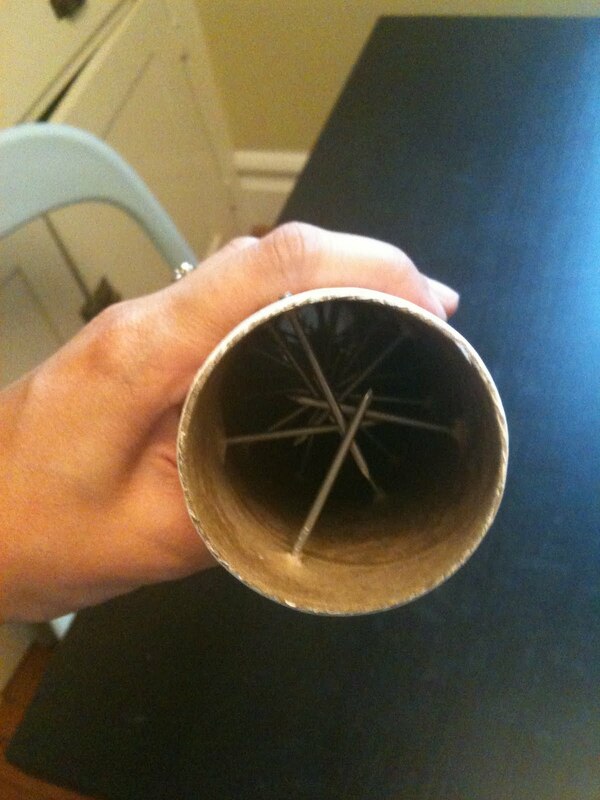 The first we made using a cardboard tube from the post office, like the kind you would mail a poster in. We then used a hammer to hammer in many, many nails (the more you have the better the sound), this was one of the Bean and Bee's favorite parts, although I did most of the hammering. Once we had hammered nails in all around the roll we then took off one of the plastic ends off and the Bee poured in a cup of dried lentils. After replacing the plastic end I then wrapped the entire roll in red duct tape. To add a little pattern I cut a bunch of different pieces of colored electrical tape which the Bee put onto the rain stick to create a design. 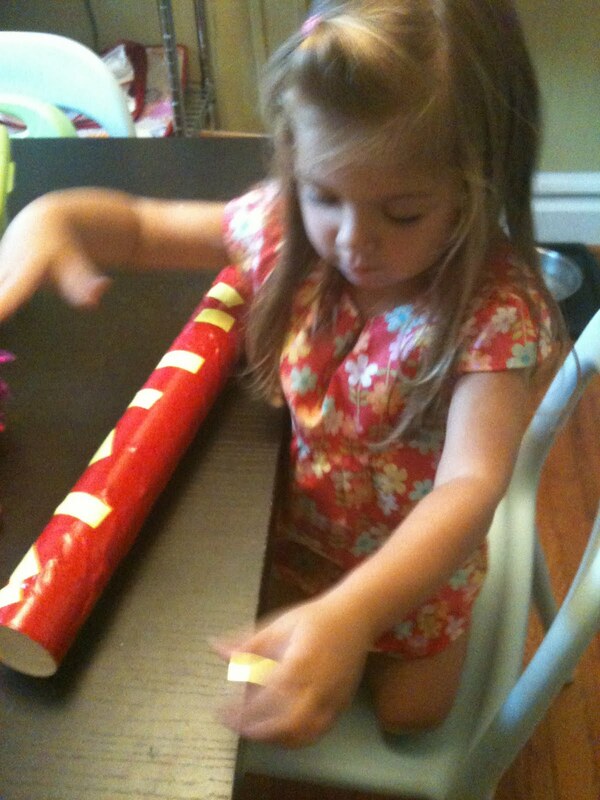 She loved working with the tape and it looks really neat when you shake the rain stick. The second rain stick we made using just a toilet paper roll, then sticking sewing pins into the roll all over. 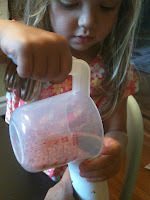 We then used packing tape to tape off one end and poured a cup of dried lentils into the other end. 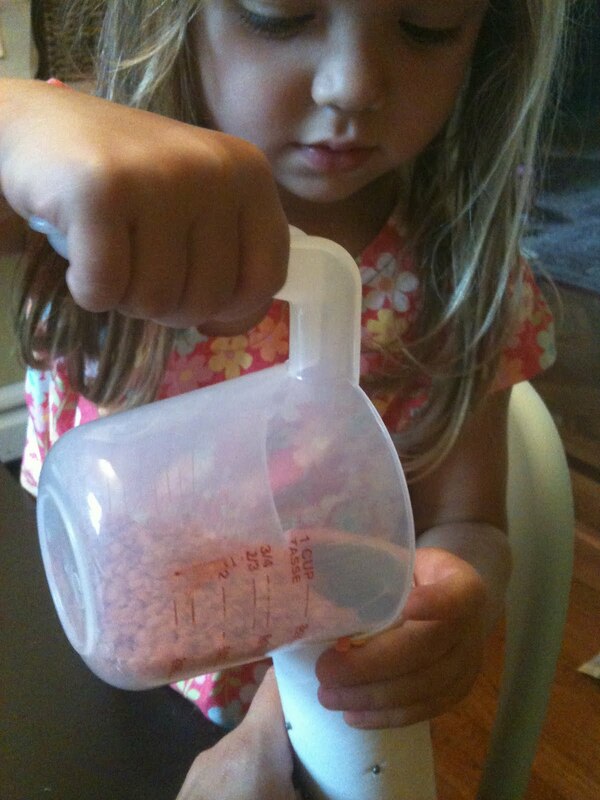 Once we poured the lentils in, we used packing tape to tape up the other. Then because I was worried about somebody accidentally getting stuck by a pin I wrapped the entire outside of the toilet paper roll in several layers of duct tape then used some yellow electrical tape to decorate the outside. Both rain sticks have been a big hit in our house and have become regulars in the marching band!